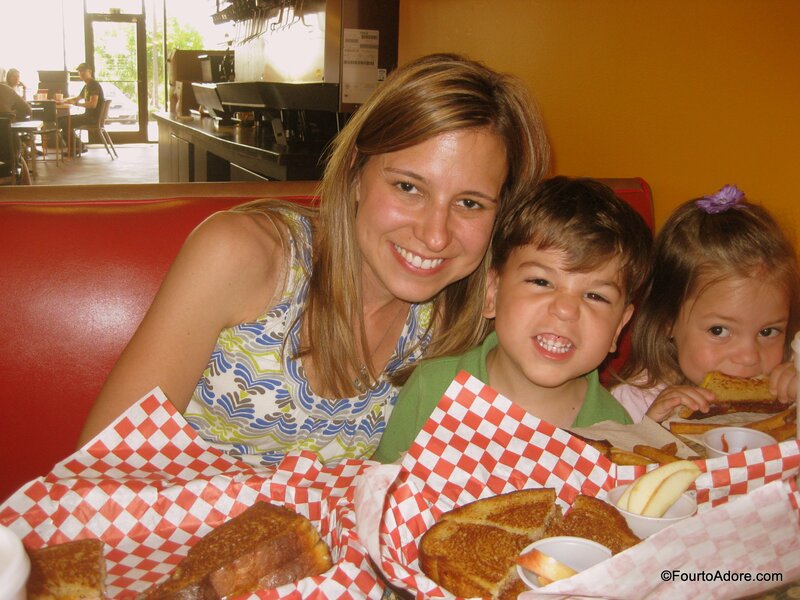 Grilled cheese is among my favorite meals, and it has been since I was a child. George prefers a more sophisticated panini, but never complains when we have grilled cheese for dinner, especially when we have tomato soup for dipping. 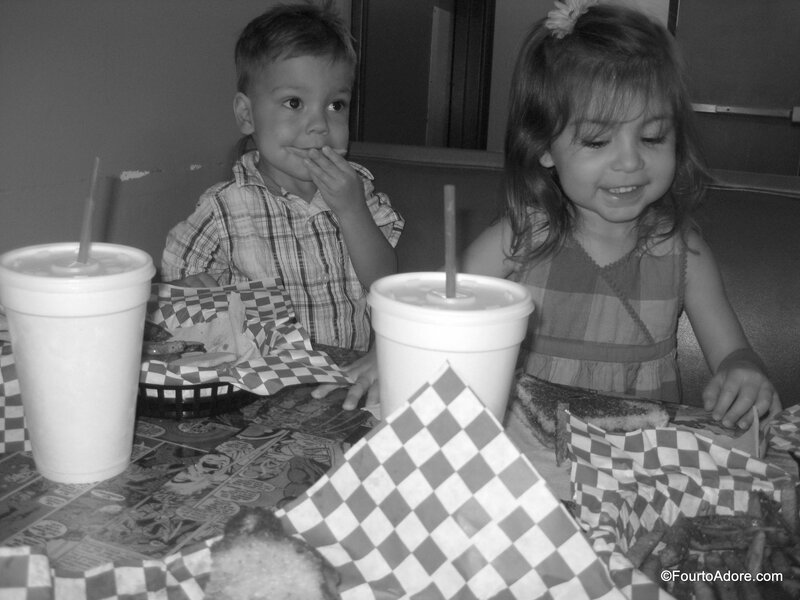 Several years ago Dallas Fort Worth locals started raving about Lee’s Grilled Cheese. 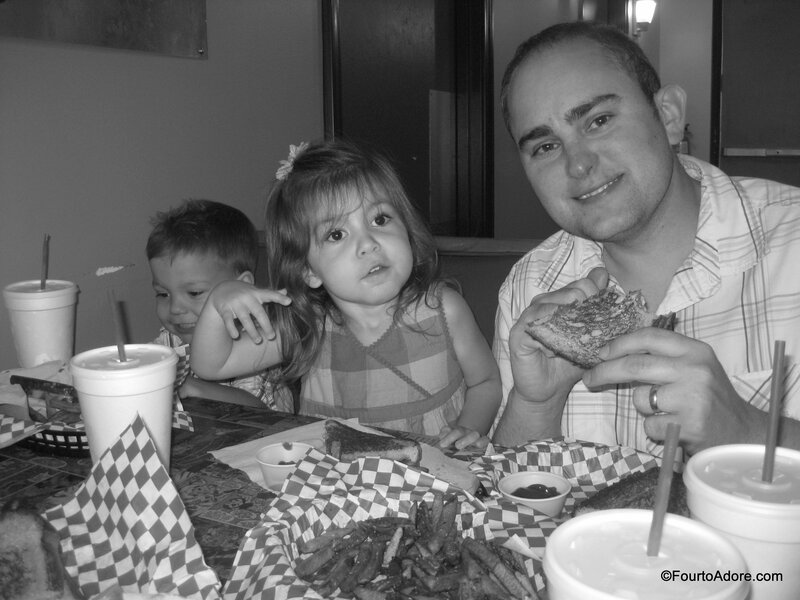 It originally opened as a food truck, and later expanded into a brick and motar establishment as well. Recently, I spotted Lee’s Grilled Cheese lists of restaurants to try: Movato’s 15 Best Restaurants in Fort Worth, Best Places for Grilled Cheese in DFW, and 15 Best Places for Grilled Cheese in Fort Worth. At that point, a visit to Lee’s Grilled Cheese made our summer bucket list. 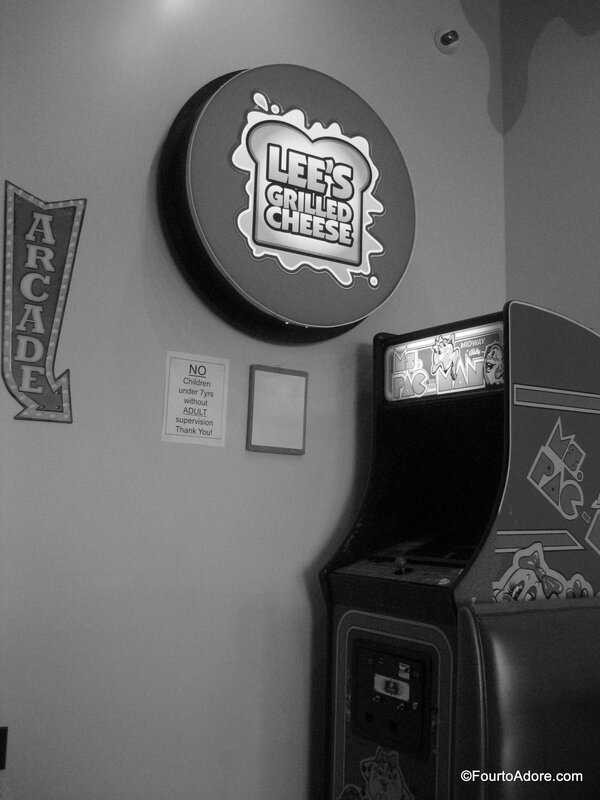 Lee’s was perfect for a little summer nostalgia with its kitschy decor and Ms. Pac Man arcade game. It just so happens that Ms. Pac Man is George’s all time favorite arcade game and he’s a champion player. He spent a few minutes teaching a few kids tricks to playing the game. 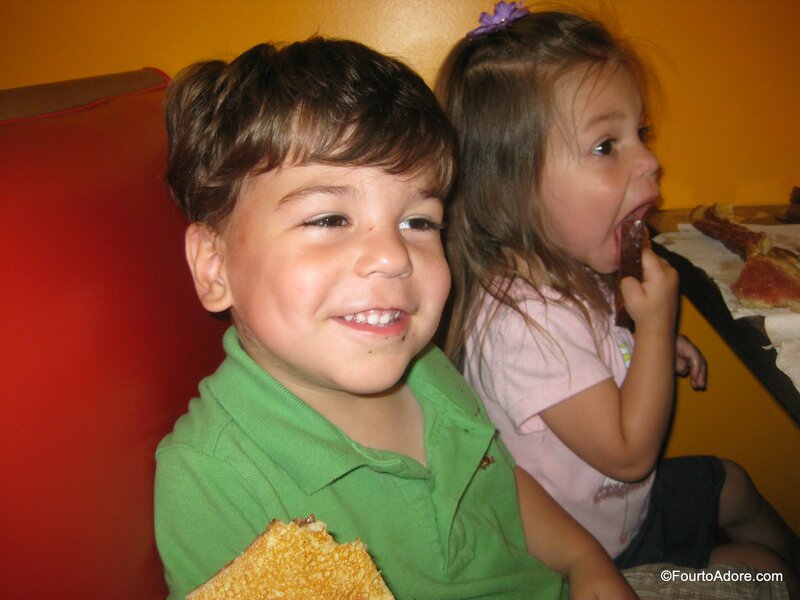 Though grilled cheese is a family favorite meal, Rylin is does not like cheese. At all. I sometimes question her allegiance to the family being a cheese hater…. Luckily for her, grilled peanut butter and jelly was on the menu. 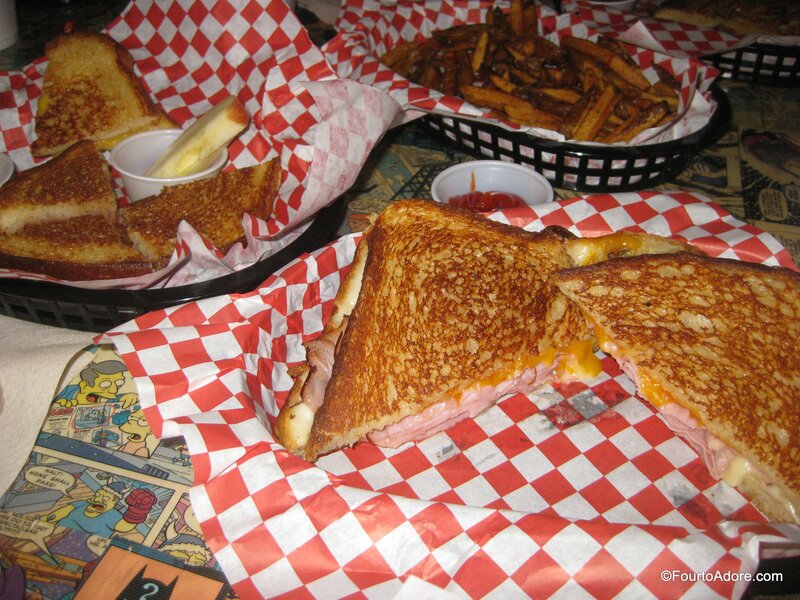 I went for a grilled ham and havarti, the other kids had American grilled cheese, and George a loaded grilled cheese paired with fresh-cut French fries. Every bite was delicious! We had fun sampling Lee’s three signature drinks: Lee-mondade, Strawberry Lemonade, and Pirate’s Punch. The Pirate’s Punch was a bit sweet for me, but Harper thought the blue stuff was divine. Both versions of lemonade paired perfectly with our meal, and the kids were great about sharing sips so that everyone got to try each flavor. Sydney apparently decided crust is not for her and she preferred eating the insides out of her sandwiches. Cheers for finally trying the cheesiest restaurant around! I’m doing whole 30. Boy the cheese sounds good. 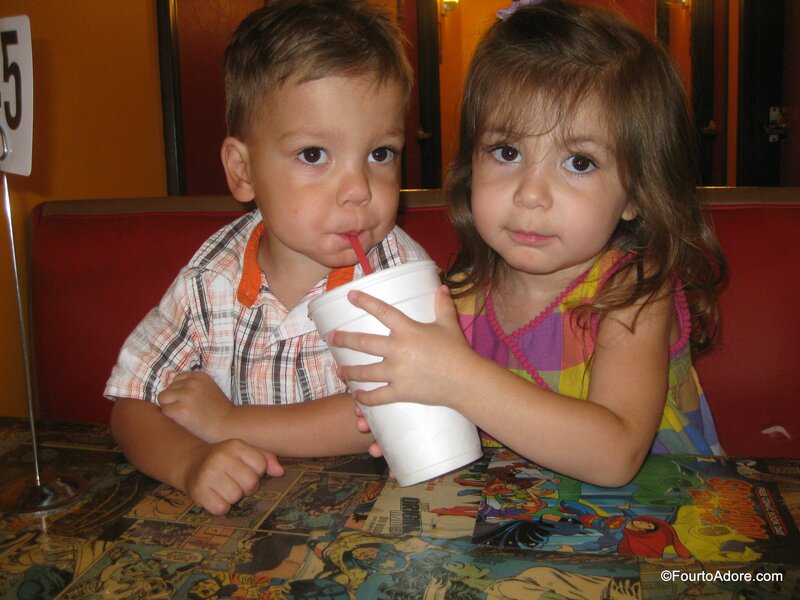 Cute pics. I don’t think I can live without cheese!!!! Rylin would be ok though.